A baseball field is 70,378 square feet. The strike zone is three and a half square feet. Here’s to finding the sweet spot. We are an integrated merchant bank and mining house purpose built to create value. Our singular focus is discovery because it creates the greatest return for our shareholders, for the lowest amount of invested capital. Since our inception, our Science of Discovery© approach has served as both keel and compass: disciplined, methodical and intensely focused on finding our Sweet Spot. We measure twice; cut once. We adhere to Abraham Lincoln’s advice: “If I had eight hours to chop down a tree, I’d spend six hours sharpening my axe.” This disciplined, methodical and deeply scientific approach has led to both new discoveries and, just as important, re-discoveries of valuable mineral deposits around the world. We structure, finance and build mining companies in-house and take them public. Our companies have dedicated management teams and boards, with skills sets that span the full range of the mining continuum from resource discovery, delineation and permitting, mine-building, CSR, government relations, mine operations and production, capital markets and business development. We are agnostic about both metal and exit point. However, we are steadfast in the pursuit of opportunity and crystalizing maximum return for shareholders, whether it be at discovery or mining stages. To date, across our platform of companies, we have crystalized approximately $3 billion in value over the past decade. In the past five years there have been seven new heap leach mines brought into production around the world — two of those come from the Oxygen family of companies, both hitting commercial production in 2016. True Gold built the Karma gold mine in Burkina Faso, West Africa, and Newmont advanced our Long Canyon mine to production in Nevada. Pure Gold’s Madsen project in Red Lake, Ontario is on the path to becoming our next mine. We have created nine companies, all instilled with the DNA of Science of Discovery©. 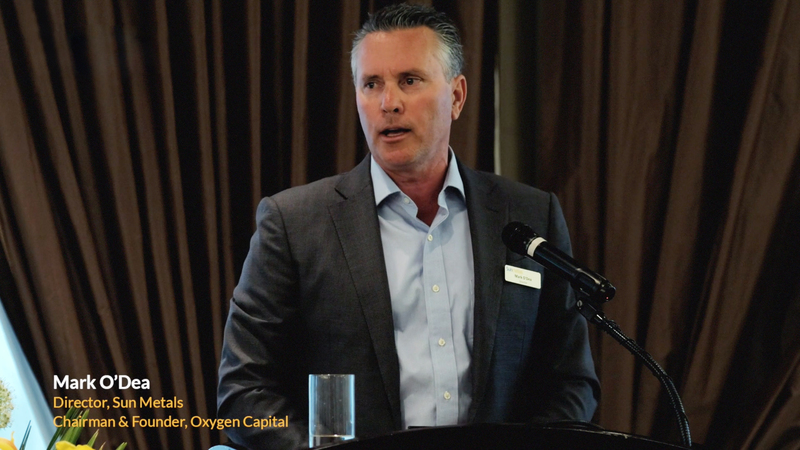 Five have been sold or merged (Fronteer Gold, True Gold, Blue Gold, Aurora Energy Resources, True North Nickel); four others are creating value at different points along the mining continuum (Pure Gold, Liberty Gold, Sun Metals, Discovery Metals). The Science of Discovery© is the core of our business model. Disciplined, methodical, and intensely focused on finding the Sweet Spot. Opportunities are often overlooked, ignored, or abandoned by others for a variety of reasons: we discover or re-discover them. Going forward, we stand as one of the very few teams that have developed a sustainable model for advancing and financing resource projects, at all stages of the mining cycle.